Are you running a restaurant that is specialized in seafood? 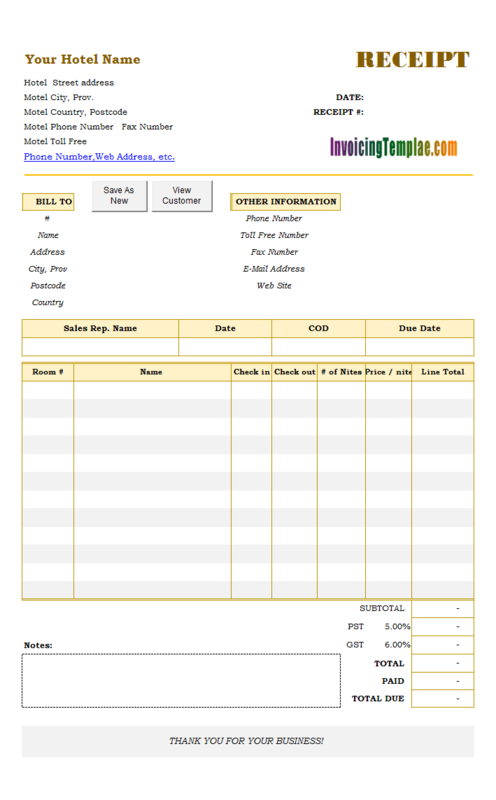 Use this receipt sample in Excel spreadsheet format as your restaurant receipt generator. This sample blank food bill template features a background watermark filled with seafood and tableware. 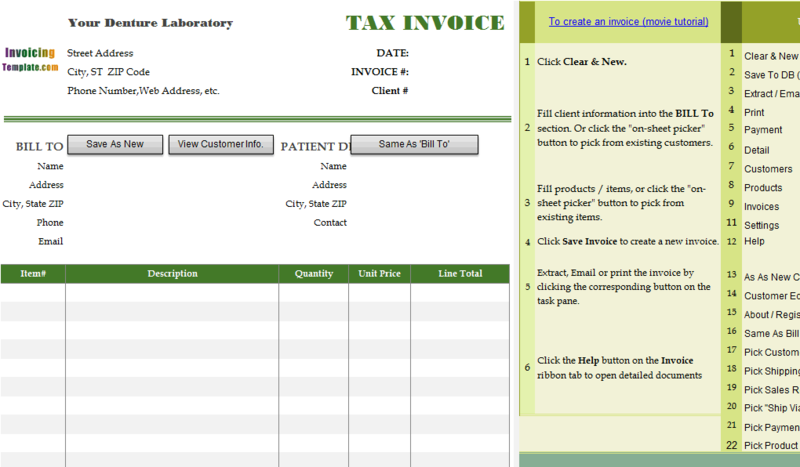 c4097 now includes the customized invoice template for the latest version of Invoice Manager for Excel. This is what you will see when you open seafood-restaurant-receipt.xlsx. 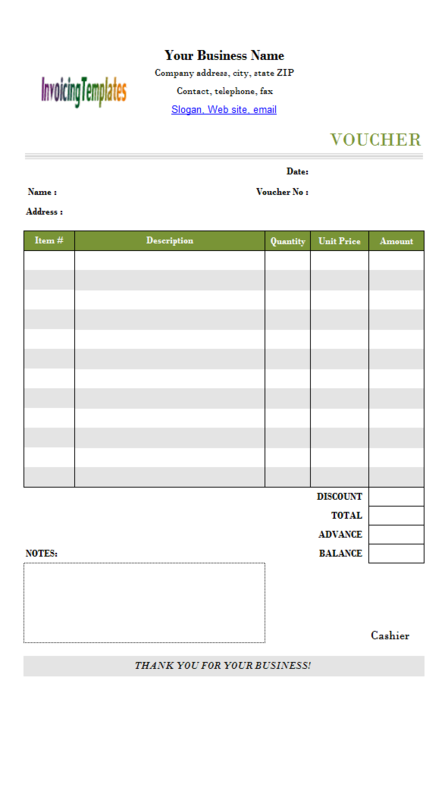 This food bill receipt template is created based on c4039 Restaurant Dining Invoice Template (VAT). 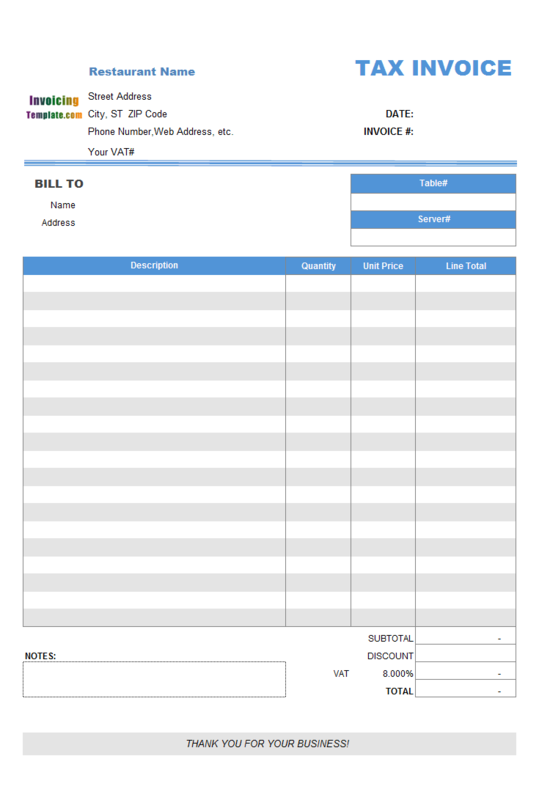 Like the original design, this template includes the "Table#" and "Server#" fields that are useful for dinning in restaurant; the "Bill To" section also includes the "Address" field, in addition to the "Customer Name" field, so this bill format could also be used for takeaways. 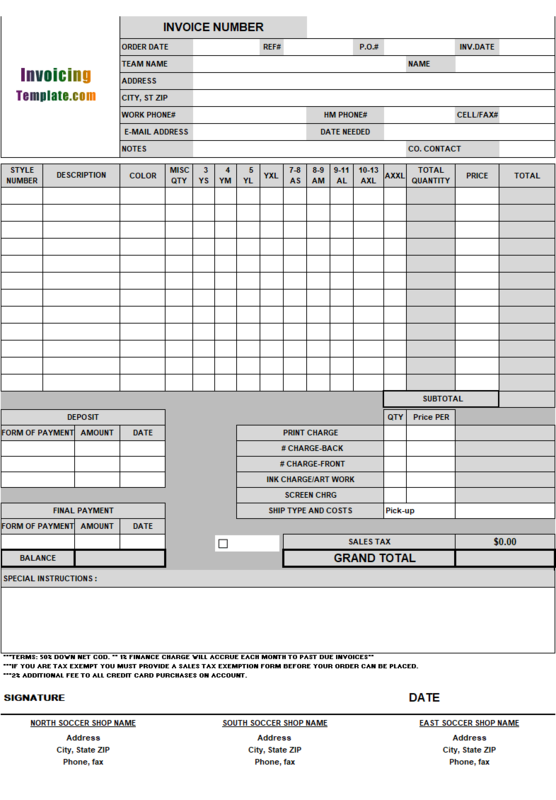 Unlike the c7005 hotel receipt template, this layout designed specifically for restaurants does not include fields for rooms. 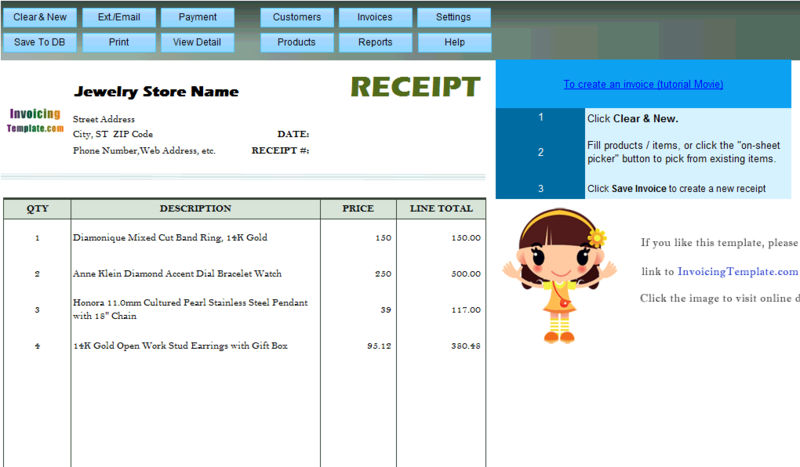 The line total, subtotal, tax and grand total are calculated using Excel formulas automatically. 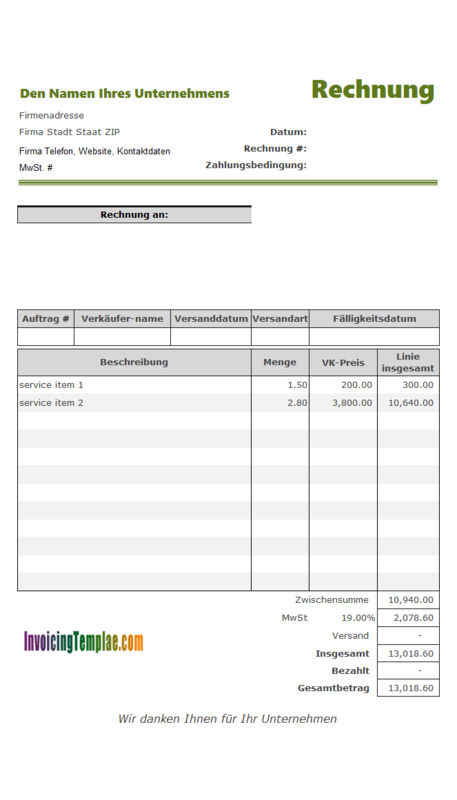 One of the big advantages of Excel-formatted templates is that they can do calculations automatically. 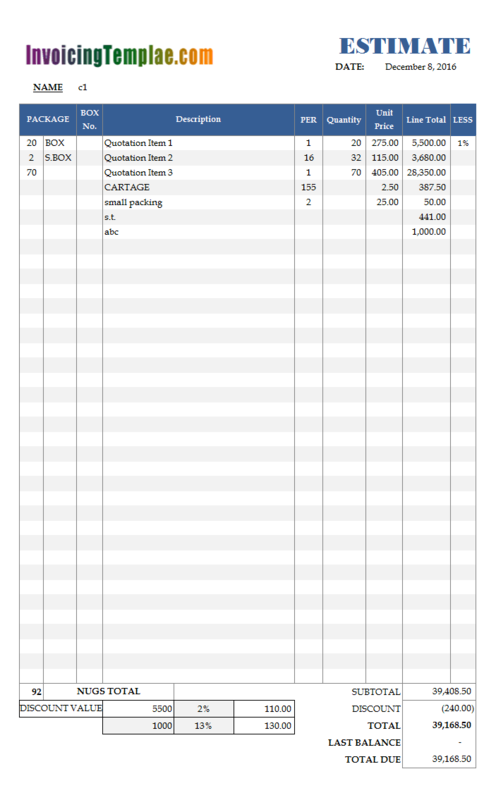 While Microsoft Word is able to format great-looking business documents (".doc" or ".docx" files) too, it is not easy to do calculations with Microsoft Word. 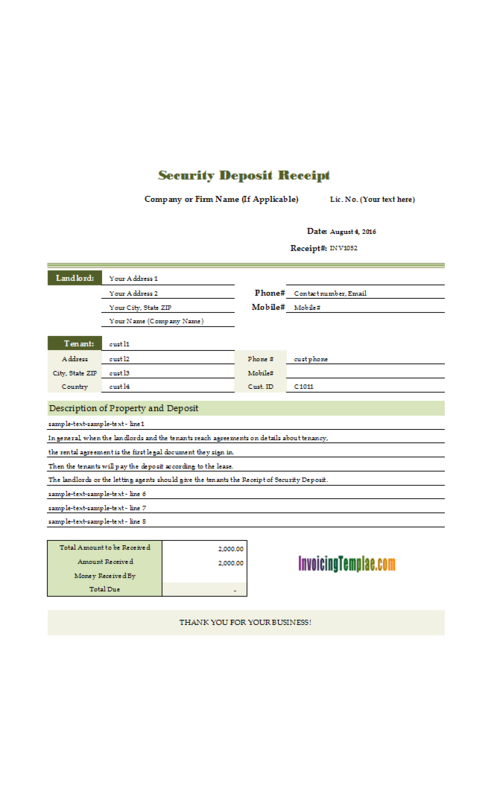 This is same to other tools that are used to generate business forms and templates like Adobe Photoshop, AI, Microsoft works, or even HTML + CSS. Excel is the only tool that allows an end-user to easily define calculation rules between cells using formulas. That's why so many people use it to process accounting and financial data. 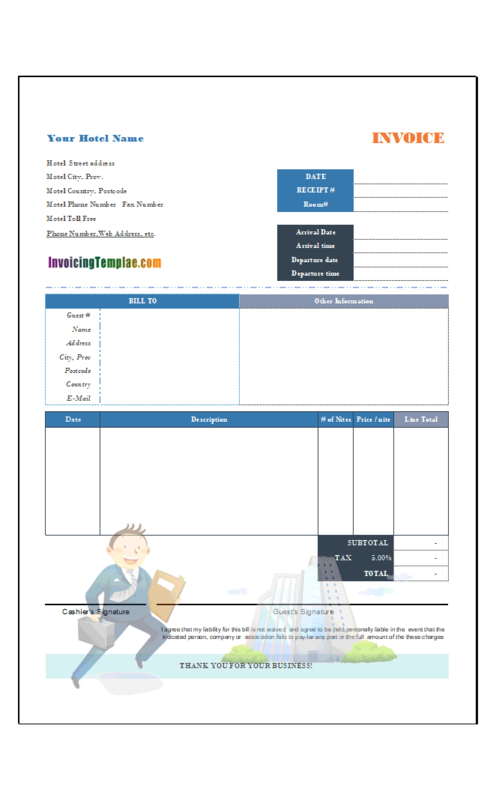 Here on InvoicingTemplate.com we provides templates in Microsoft Excel format, although a PDF version is also provided with the Excel workbook template file. 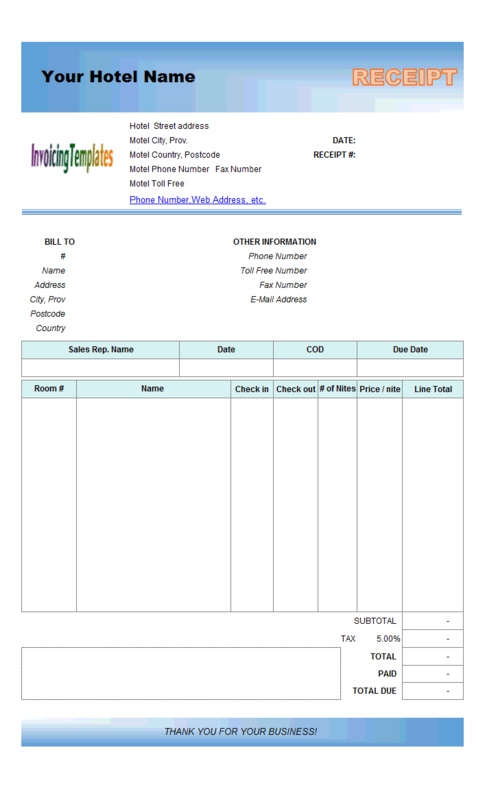 This PDF format, like the Receipt PDF Sample for Seafood Restaurant, is generated with Invoice Manager for Excel (namely Uniform Invoice Software). Today electronical bills are widely accepted. 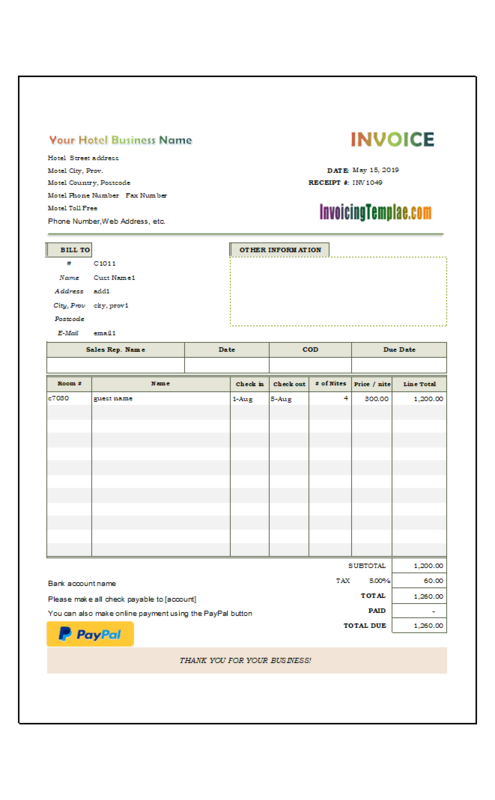 You can even add a PayPal payment button to your receipts and bills by using Invoice Manager for Excel (namely Uniform Invoice Software). 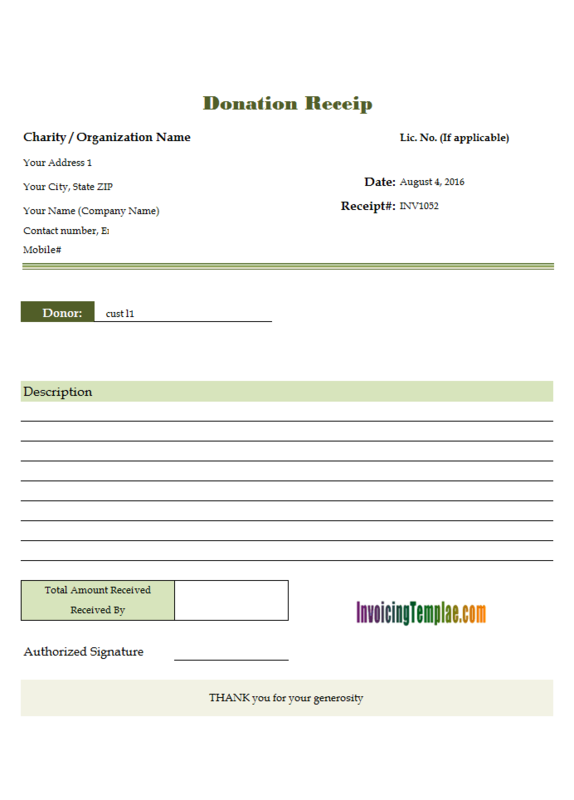 This template set the tax name to "VAT". You can easily change this by following the steps below if Invoice Manager for Excel (namely Uniform Invoice Software) is already installed on your system (Invoice Manager for Excel (namely Uniform Invoice Software) requires Windows from XP to 10, with Excel / Office from 2003 and later). 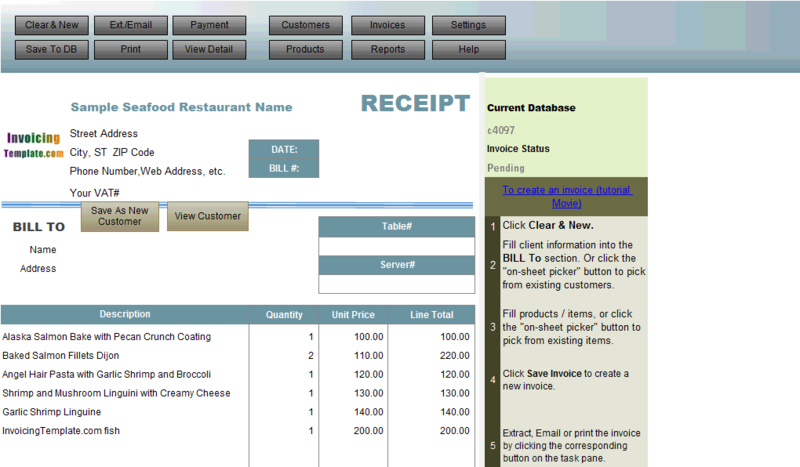 Click the Settings button on the "Invoice" ribbon tab. Enter your tax name in the appropriate text box. 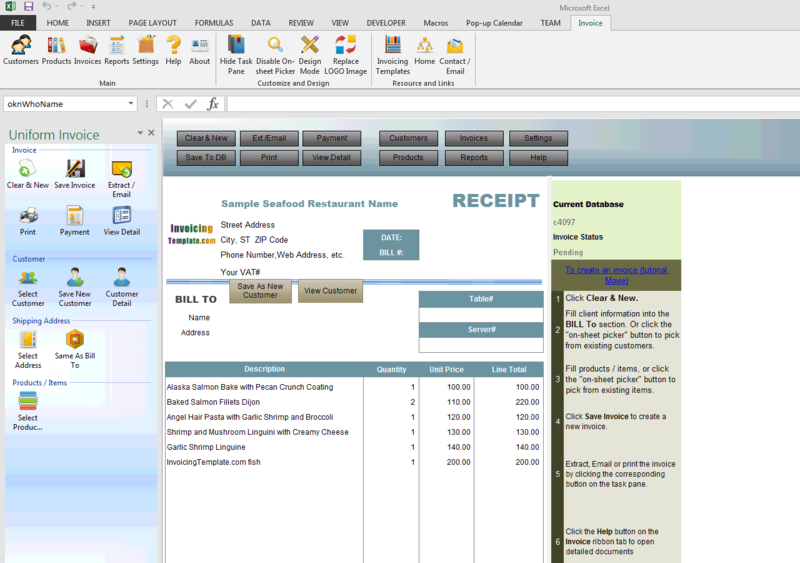 With Invoice Manager for Excel (namely Uniform Invoice Software) installed, the receipt template for restaurant is also able to generate receipt numbers automatically. This auto-numbering feature (click to see more samples) is based on a counter stored in the backend Access database. By using this counter, a new, increment and unique receipt# is generated whenever you click "Save To DB". 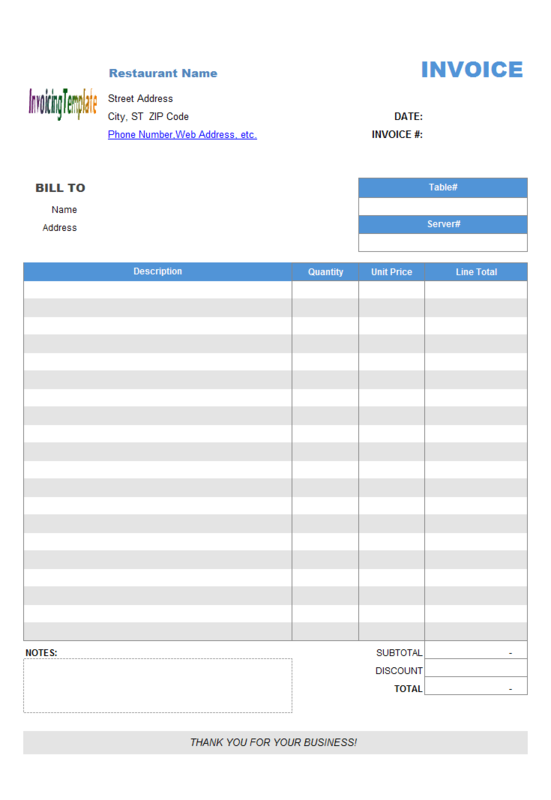 Like other form designs here on InvoicingTemplate.com, Receipt Template for Seafood Restaurant is free (offered to you at a price of 0.00USD). It works on Windows XP and all newer versions of Windows, and Excel 2007, 2010, 2013 or 2016.